Brands are always looking for ways to engage with a digital-savvy audience for trades shows, brand activations and retail. Both interactive touch digital displays or Kinect connected applications can provide a new touchpoint to telling your story. The Groove Jones team has had extensive experience working with brands from their point of sale display to creating fully immersive engagements at location-based events. 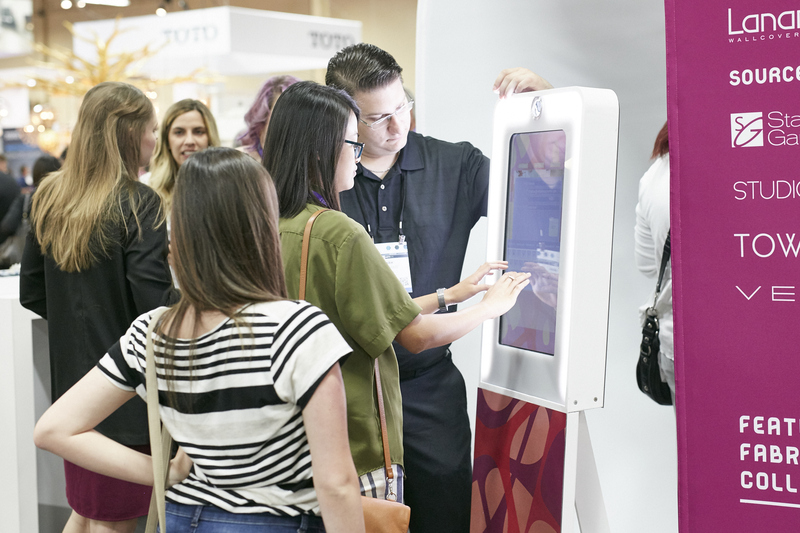 Below is a touchscreen display unit we used for our client Tri-Kes for their Las Vegas event. 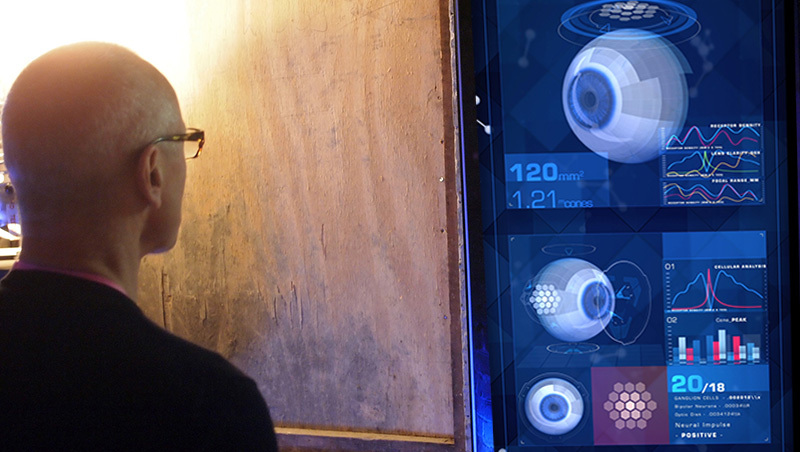 We used machine learning and artificial intelligence to create a dynamic VidBomb video booth App. Which allows a brand to add fans into their commerical spots. Touchscreens come in various sizes and can be connected to most PC or Chrome OS devices. 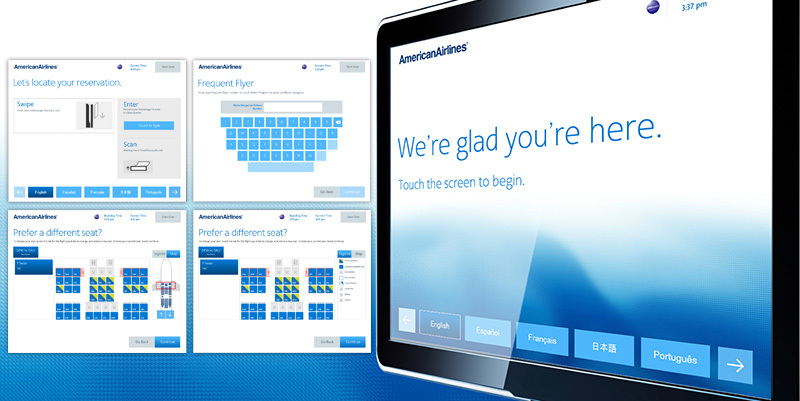 Prior to co-founding Groove Jones, Dan Ferguson and his team developed the touchscreen check in system for American Airlines. 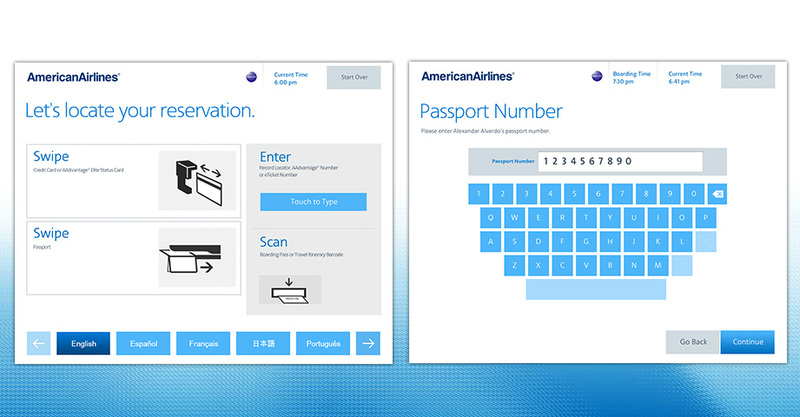 The American Airlines is a mission critical business tool that was completely overhauled with a new UI/UX. This was a Multi-lingual Flex application that need to support 10 languages and cut the existing check-in system time by half. 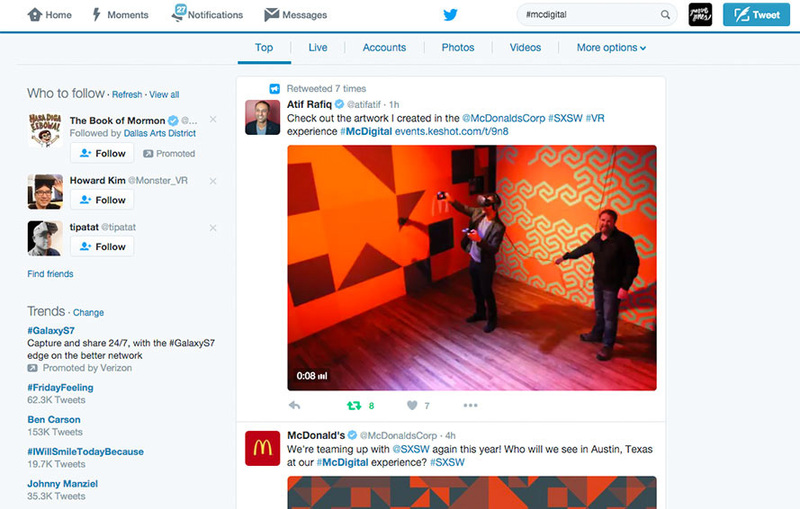 At the 2016 SXSW Music, Film and Interactive Festival held every year in Austin, Groove Jones installed custom touchscreen kiosks as part of the activation for McDonald’s. 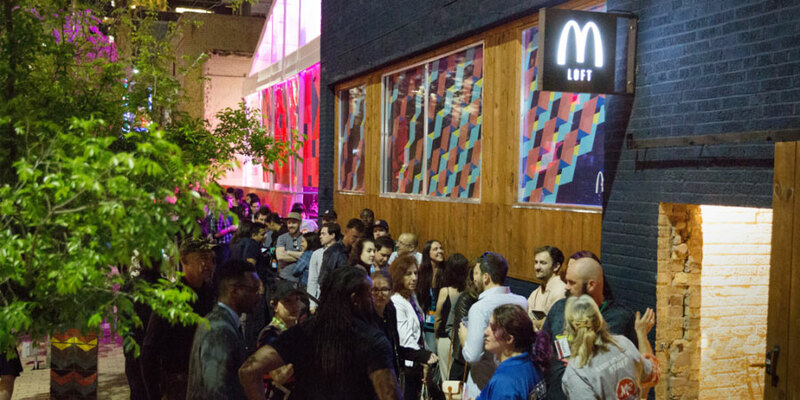 Over 8,000 guests took the time to step into the Arcade Artist experience at the McDonald’s Loft. Once they were done, they could socially share the movies of them doing the VR experience. Each unit also had the capability of printing out a color postcard of the experience that served as a takeaway for the event. Groove Jones utilizes the PC version of the XBox Kinect camera system for fully interactive experiences. 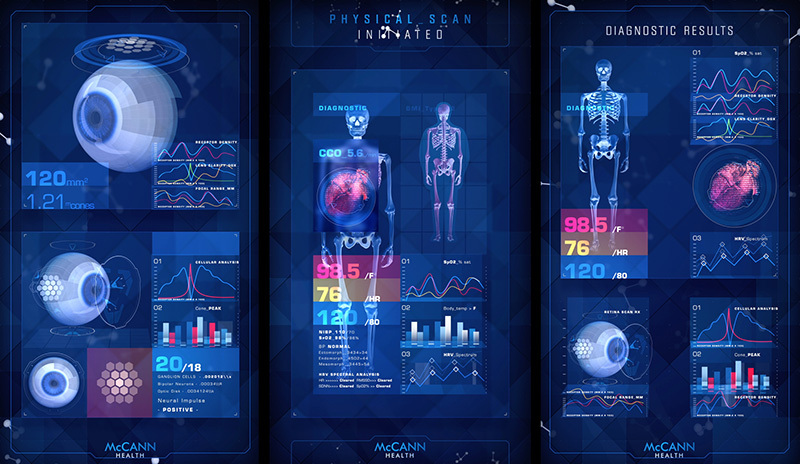 These camera systems can detect a human body form and track a person’s movement. This allows for fully interactive, gesture based activities without any other peripherals. 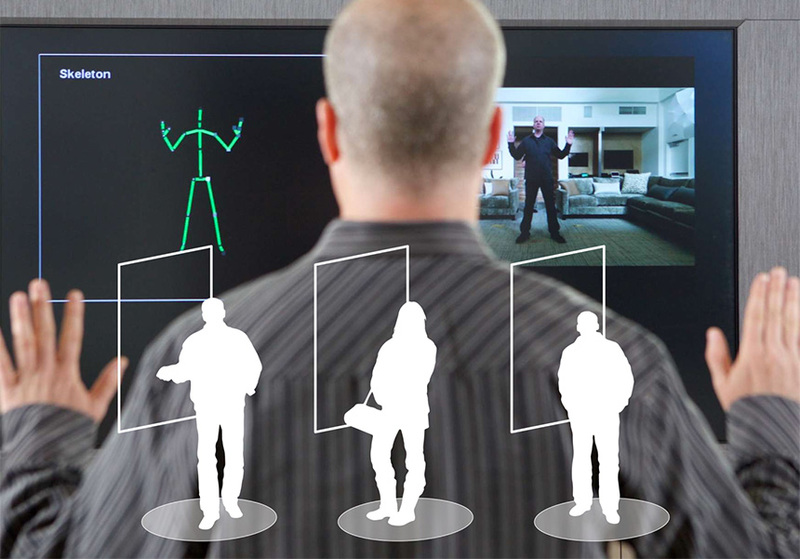 The Kinect has the ability to track as many as six people and 25 skeletal joints per person. This includes tracking for finger tips and thumbs. Medical simulation via Kinect Camera system. The system simulated the scanning of a person’s retina and also scanned their body as it went through a series of tests. 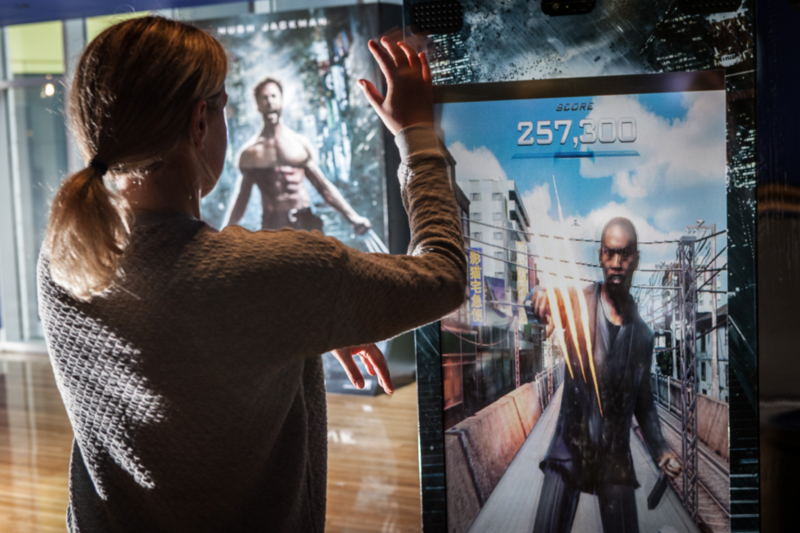 The X-Men Wolverine interactive experience used the Windows Kinect to give fans the ability to be Wolverine. Players would step up to the kiosks launched at theaters in 18 countries around the world and fight via Wolverine’s “Adamantium” claws as they ride on top of a train rushing through Tokyo. 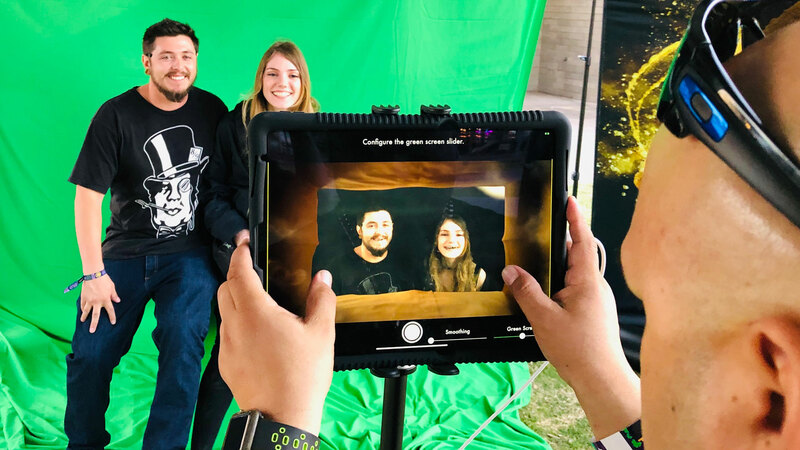 If you are interested in learning more about how to utilize the Kinect or touchscreen applications for your digital and experiential campaigns feel free to reach out at anytime – Contact Us.